The J-480TM is a 6 person hot tub with an innovative design which, with its curved and asymmetrical lines present a fresh spa silhouette unlike any other. The WaterColourTM feature is incorporated on the raised back and reproduces the effect of a real glistening waterfall full of light and colour. This luxury hot tub is an absolute must for any garden design with its sleek look and advanced hydrotherapy features, ready to make any garden instantly look better with its presence. 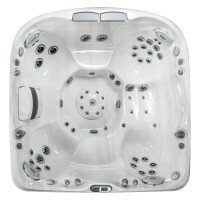 This 6 person hot tub is great for families or friends and will transform the way you relax at home. Come home after a long day and sink into this most wonderful luxury hot tub. Getting away from the everyday has never been so easy. 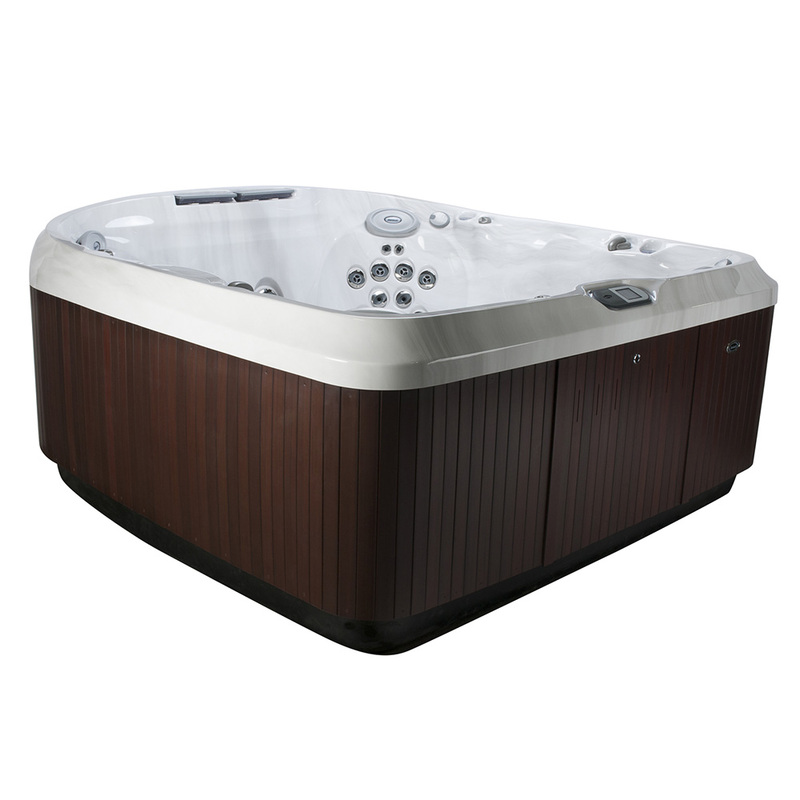 Jacuzzi designed the J-425TM 4-5 person hot tub to provide all the impressive features found on the other hot tubs in the J400TM range, but in a smaller footprint, making it the perfect hot tub for any garden. Their patented asymmetrical design with its raised back profile is a striking focal point for your garden.You'll love the J-425TM hot tub, made perfectly to fit just where you want it. 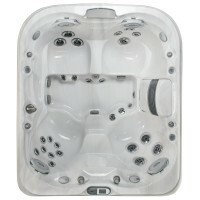 Come home, relax and let the unique PowerPro® jets massage away all the tension that’s built up during the day.The J-425TM has been designed as 4-5 person hot tub and comfortably seats 5 adults with 4 therapy seats and a smaller regular seat, making it ideal for friends or family or even just for making the most of the space yourself!Begin your transformation with a J-425TM hot tub from Jacuzzi®. DESIGNER COMPACT WITH OPEN SEATING..
SAVE £4000 this Easter! Easter Spotlight Offer Save £4000 this Easter on our amazing Jacuzzi J-480 which has arguably the best massage in the Jacuzzi range!!! In addition to the hot tub, this offer comes with our "Must Have Collection" which includes everything you need to get started. The Must Have Collection includes cover, cover lifter, deluxe steps, chemical starter pack, delivery & installation. This is a limited availability offer on our two best selling colour options. The J-480TM is a 6 person hot tub with an innovative design which, with its curved and asymmetrical lines present a fresh spa silhouette unlike any other. The WaterColourTM feature is incorporated on the raised back and reproduces the effect of a real glistening waterfall full of light and colour. Special Offer Price: £13,749 inc. Must Have Collection (RRP: £17,749 inc. Must Have Collection)..